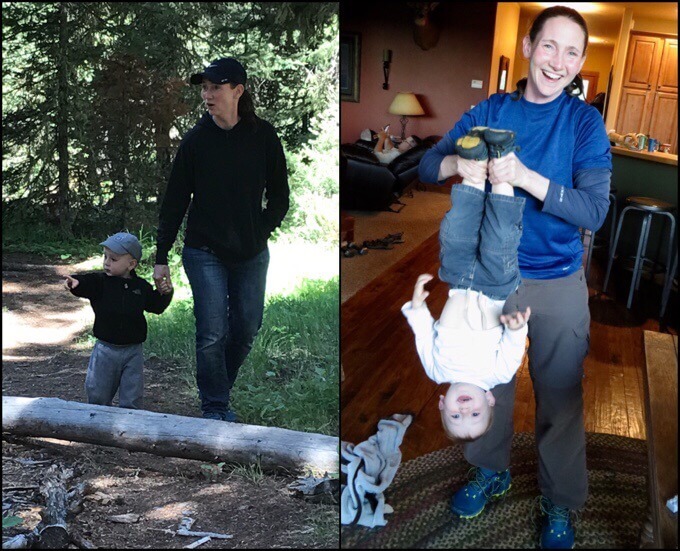 I’ve spent the last 5 days in Bozeman, MT visiting my brother and his family that I last saw before I did the GDT in 2015...Many of you recall the infamous bear spray incident when my brother and my oldest nephew joined me on the CDT in 2013 for an overnight in Yellowstone…or the classic muscle shots with my nephews in Butte. It’s always great to see them. 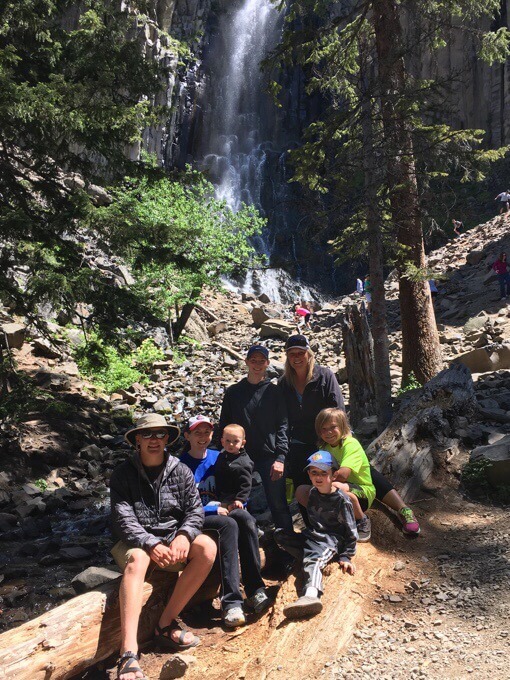 Also there was my mom, stepdad, and my twin sister with my nephews you’ve all seen grow up through our Skype conversations along the trail and yearly visits at the end of my hikes. It was a great family visit that conveniently fit in before my flight to PARIS! I posted more photos on Facebook and Instagram if you want to see more. 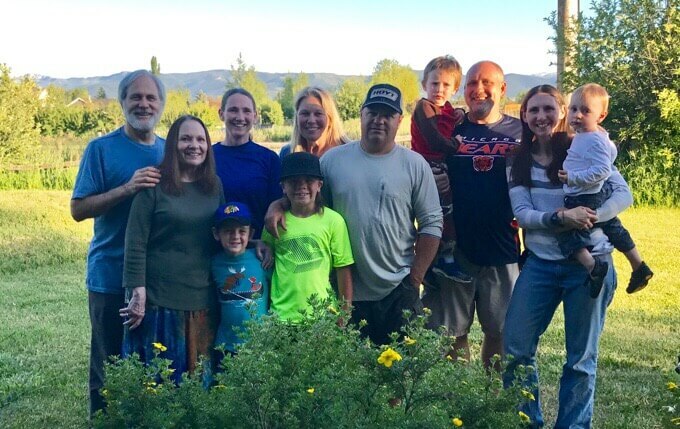 All of us (but my oldest nephew gone at a ball game) in a rare group photo. This little dude…killin’ me with adorableness! 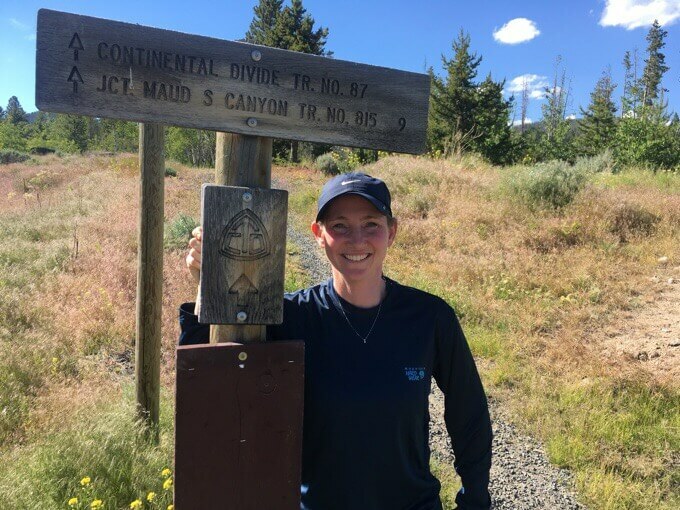 I even got a chance to visit my old friend, the Continental Divide Trail. I remember being at this exact spot in 2013 when this new stretch was being built. I even wrote about it on my blog and took a photo of this same sign. Visiting an old friend in Butte. There was even some fun with gear as I setup my Zpacks Solplex and my brother setup the Duplex he takes out on his hunting trips. He’s by far the most dialed in on pack weight for hunting. The gear I take has become fairly routine with few changes from year to year. My base pack weight for the Haute Route Pyrenees is 13lbs 3.7oz. That weight includes 11oz microspikes for possible snow on the passes the first half of the HRP. I’ll be ditching those a couple weeks in and my base pack weight will be 12lbs 8.7oz the rest of the summer, wahoo! Here’s everything I’ll be carrying. I have one major change this year I want to talk about. I’ve decided NOT to bring a camera and to use my iPhone SE as my sole camera. This was a gradual decision over the last year when I happened to use my phone as my camera for a few days when I was in New Zealand. Then I tested out solely using my phone the whole month I was in Tasmania. I really took to it! My old and new setup for taking photos. There are so many things in the pro column for not bringing a separate camera. I am saving the weight (8oz) of carrying the camera, extra camera battery, USB cord, and the shoulder strap pocket to carry it. That’s half a pound, sweet! Plus, I tend to break or lose a camera every year, so I’m saving $300/yr. Another pro that I find very enticing is that I can save the time, effort, and battery of having to transfer my photos over the wifi sd card to my phone to use for blogging each night. As for cons, I will miss the wide angle my Panasonic Lumix grabs, and I also like the zoom capability of a more advanced camera. I don’t consider myself to be a photographer, so I think the quality of photos are on par with what I was taking before, and sometimes better. Someone more skilled with cameras would surely take better photos with an actual camera, but I’m more of a point-and-shoot person that takes photos on the go. For the quality of photos I’m looking to take, I think my phone will be sufficient. I was tempted to upgrade to a newer iPhone, but I’ll stick with the SE for now. I love the smaller size. Old setup of the Albinar Mini Tripod and the new setup with the Pedco Ultra-pod tripod and StickPic cell phone tripod adapter. One worry I had switching to my iPhone is how I would take photos with my StickPic. 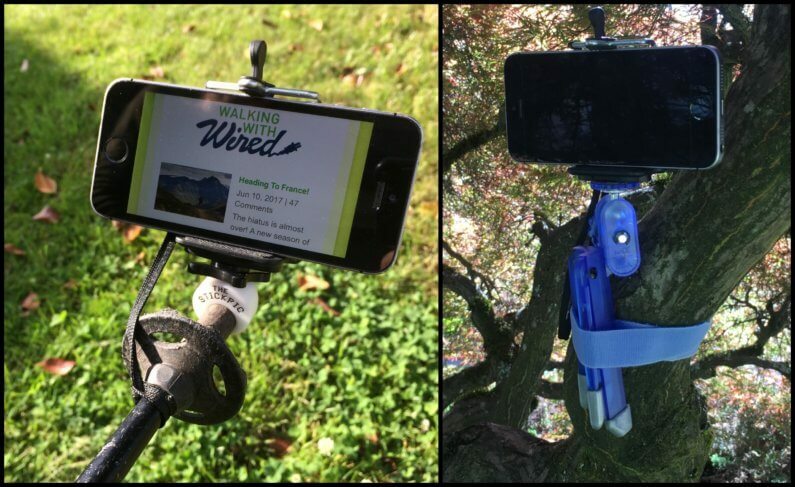 Fortunately, StickPic also sells a cell phone tripod adapter that connects with both my mini tripod and the original StickPic for my hiking pole. I’ve grown to like having a mini-tripod, and I’ve changed over to the Pedco Ultra-pod tripod this year. It is the same weight (1.6oz) as the Albinar Mini Tripod I’ve carried, but has a couple bonus features. The Ultra-pod has a swivel top that adjusts in two different places to get the positioning just right. That was difficult with the Albinar tripod, which often required creatively finding rocks or bark the right size to prop under a leg to get the angle just right. 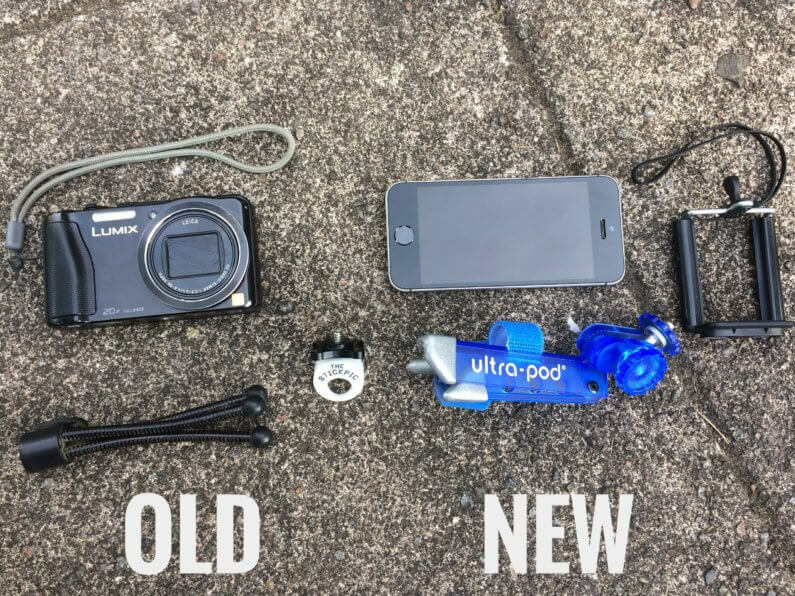 Also, a great feature with the Ultra-pod is that it comes with a velcro strap attached to a leg that allows you to easily attach the camera to a tree branch, post, or hiking pole to take photos from a higher vantage point. I love this feature! I’ve loaded the GorrillacamPro app to my phone to take delayed photos when hiking on my own that will give me more than the 10 seconds to get in the shot that my iPhone timer allows. Great options while hiking solo. 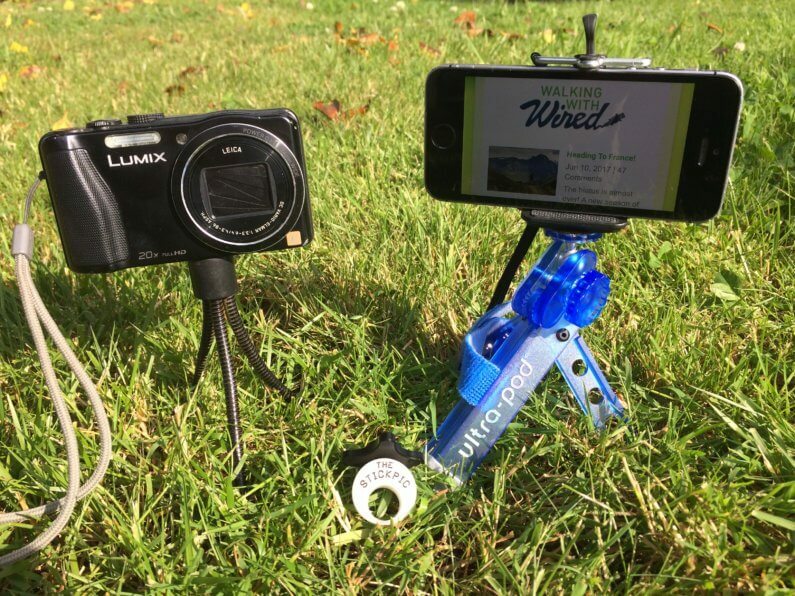 The StickPic cell phone adapter in use with the StickPic and Pedco Ultra-pod. That was a lot of detail for one small item, but it’s my biggest change this year, and a significant one. It’s a great way to save weight and money. I also feel lighter in a more abstract sense with the simplicity of it. Since I’ve saved weight by not carrying a separate camera, I decided to get a larger external battery as well. 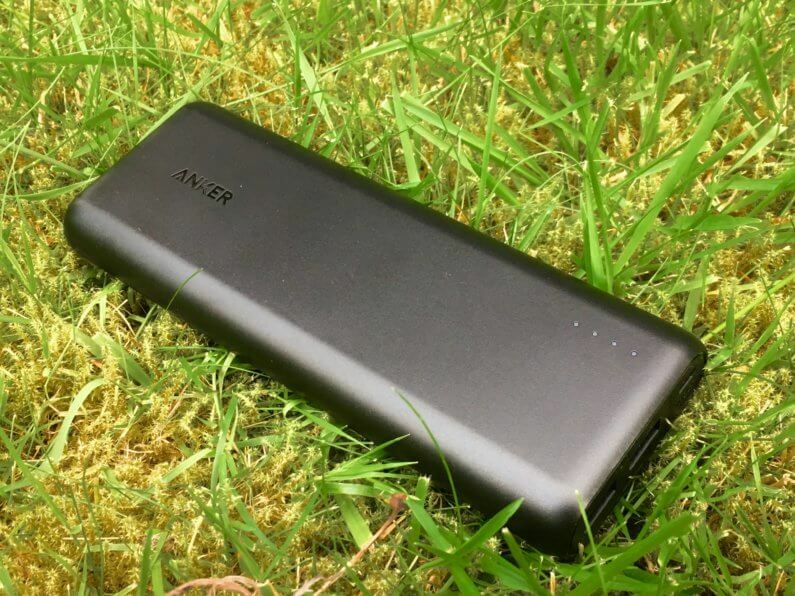 I’m a huge fan of the Anker batteries, and previously carried their 13,000mAh charger. I’ve now upgraded to the Anker 20,100mAh PowerCore battery (12.6oz) for just a couple ounces more. I like the freedom of having plenty of battery life. Sometimes, the only reason I’ll head into town overnight will be to charge up my battery. The 20,100mAh PowerCore will give me 9 charges on my iPhone SE, so that gives me a ton of freedom to stay out for even longer lengths of time (and yes, watch as many shows as I like in my tent at night, hehe). Needless to say, I’m pretty stoked about this! I realize many of you may be new to this blog, if you’re rolling your eyes about all this electronic usage, this might not be the blog for you…you may have noticed the title and the electric plug on the logo at the top of the blog. My name is Wired after all…those who have followed for many years know I I hike a ton, but also like to blog and relax with a show at night when I can. We all enjoy it our own way. New Anker PowerCore 20,100mAh battery. One last mention on gear. I want to give a big THANK YOU to Gossamer Gear who has supported me for the last 5 years. 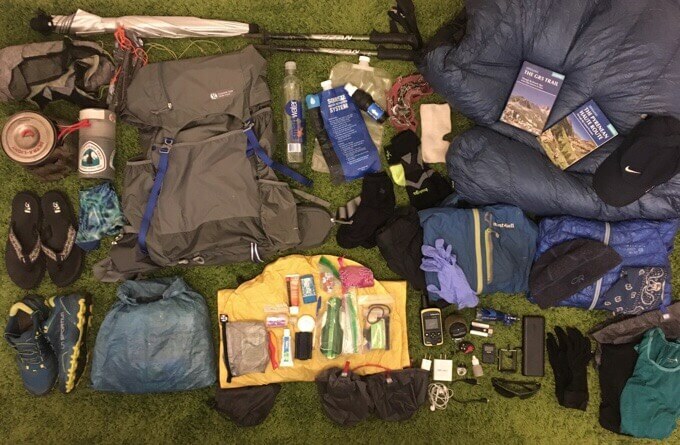 I use a ton of their gear, and it’s not just because I’m a Gossamer Gear ambassador. This is the gear I prefer and would be using even if I wasn’t an ambassador. I have a shiny new Mariposa Pack, umbrella (that I will hopefully NOT lose! ), and new this year, I am using their ultralight silky smooth stuff sacks. You all know I’m not a walking commercial and I appreciate that they value that in me, but I do want to be sure that they know how much I appreciate their support. THANK YOU Gossamer Gear! 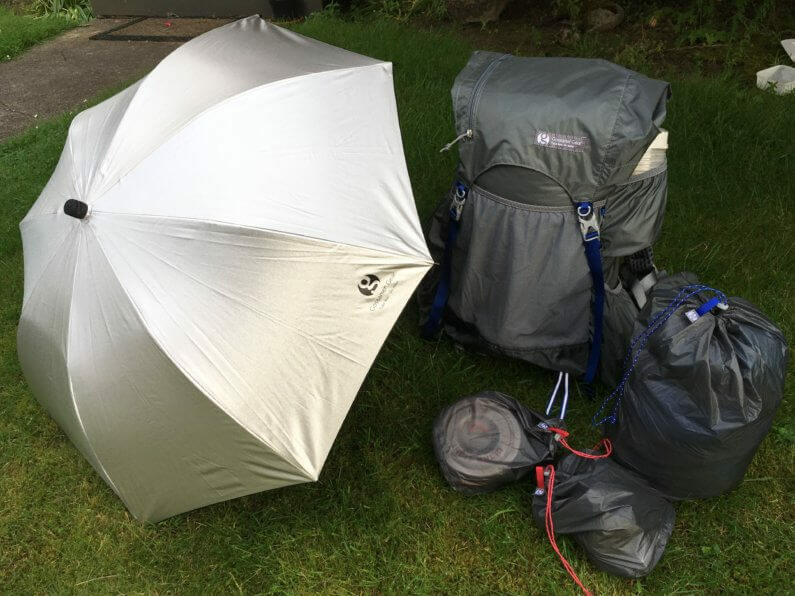 Gossamer Gear Chrome Umbrella, Mariposa pack, and stuff sacks. I’ll be flying in a few hours to Paris where I’ll stay four nights sightseeing before I start hiking on the Haute Route Pyrenees. Too bad the hiker hunger hasn’t hit yet to really indulge in the food. I’ve never felt so relaxed about starting a trip as I do with this one. Since I only worked one job this last couple months, I had plenty of time to get my act together with prep and packing. It’s been quite the luxury. I think I’ve managed to not forget anything…well, I did forget to bring something for a friend in Europe…it’s always something! Next time I’ll be posting, it will be from PARIS! Have a great trip Wired! What an amazing adventure it will be, particularly as your first time there in Europe…enjoy! I will be in France tomorrow, just for the day. Not going as far as Paris though. When I saw the umbrella ? make an appearance in that video, I told it not to get lost! Great year not to be in the Sierra.. Even our mainstream newspaper had an article about hikers (not just first timers) giving up due to show (avalanche), and crazy amounts of runoff making streams dangerous.. People flipping North also with snow concerns. How exciting that you will next post from Paris!!! Haha, I love the umbrella cameo! Yup, not a good year at all for the PCT. I used an Anker 20000 and liked it. I broke a GG pole getting up from a bench and just bought a 3 section pole to fit inside my pack. Yes, the new GG poles look to be more resilient. I’ve been tempted to get the add-on lenses for the iPhone, but then I have to deal with the time of putting it on/off and find a way to not lose the little attachment. Although a bit limiting, I’m hoping to adjust to the ease of the iPhone. It’s finally summer when Wired starts blogging. It is exciting and inspiring to see your gear ..at under 13 pounds! WOW! You are a pro at cutting ounces off. I applaud your decision to ditch your camera ….. it sounds like it will be easier on you technologically, too. BTW, I loved the tent set-up video!! Interesting conclusion about camera vs. phone, itching myself also. After a try to wordpress in the field and experiencing wifi transfer from camera, phone typing, etc, I am now sure I won’t do that. A simple insta’post will be enough work for me, so a “small” camera is useless and the choice is no camera at all or a “big” one. Still itching. So thanks to you for blogging anyway. Beware, I think you are arriving synchronized with thunderstorms coming from spain. In fact it is perfect, you will certainly have a pretty weather just after. Yep, I’m recommending Instagram for most hikers just for the ease of it. It does slideshows now as well, which is perfect for daily “instablogging”. You’re right about the storms. The clouds were awesome my first night and I’ll carry my handy dandy umbrella today and duck in museums when needed. Yep, it’s hitting the start of the Pyrenees Route pretty hard the next few days. Hopefully dodging much of that while in Paris and going to time it well luckily…it rains a lot over there, so I don’t expect to dodge it completely. Hi Wired. I’m looking forward to hiking the HRP with you vicariously. Guess what! I’m booked for a showing of my CDT program for REI in Portland on July 12 at the Lucky Lab. Should be fun. Oh man! I can’t believe I’m missing that Jean! I’ll get the link and share it! Have a great trip! Excited to see you back on the trail! 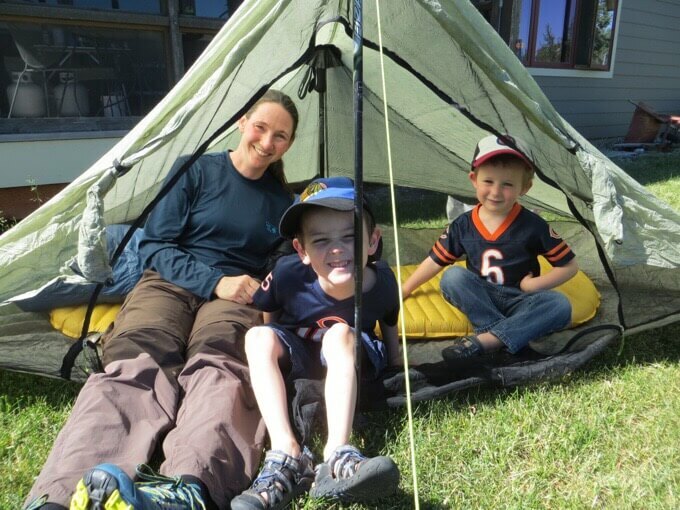 My youngest and I will be heading to Lost Creek Wilderness next week for a few days and will try out our umbrellas. I just refreshed my memory on how you attached your’s vs Rockin’s variation.